Siberian Husky lovers can take pride in the fact that their favorite breed has a real-life hero whose memory still lives on among many. His name is Balto and he lived during the 1920s and 30s. Balto, (whose exact date of birth is in dispute but is estimated to be 1920), was born in Nome, Alaska. 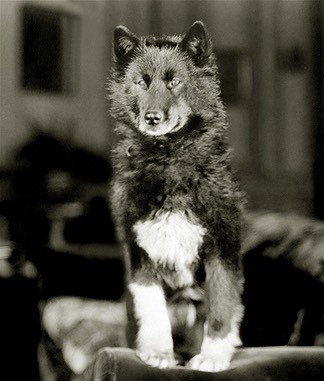 Considered an inferior dog, Balto spent the first two years of his life as part of a dog team who brought supplies to the miners in the surrounding area. An outbreak of diphtheria in Nome on January 21, 1925 changed all of that. Diphtheria was a common disease in the 1920s. It is a bacterial infection that causes patients to have a hard time breathing and swallowing. It also causes heart failure, paralysis and death. It infected many people in Nome, mostly children. The infection was spreading and the nearest medicine was in Anchorage, 1,000 miles away. The town telegraphed for help. The medication was shipped part of the way by train to the town of Nenana. Bad weather conditions prevented it from being sent any further by ship or plane. The fastest way to get it to Nome, 674 miles away, was by dog sled. This is where Balto, and 20 teams of other dogs, mostly Huskies, comes in. Time was running out for the people of Nome and the diphtheria was spreading. It was estimated that the trip would take the teams of mushers and dogs 13 days to make the treacherous journey. Temperatures along the trail were usually -40 degrees with severe winds. All the teams made a valliant effort. 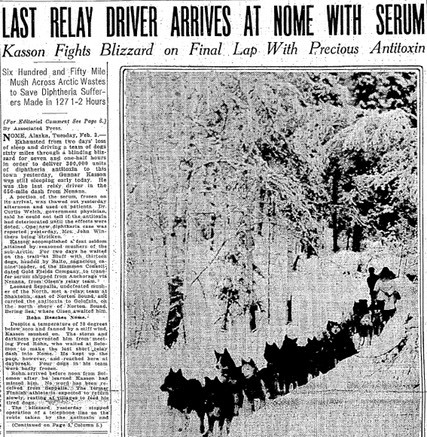 The medicine was handed off to musher Gunnar Kaassen and his team, lead by Balto, on February 1, 1925 for the final 53 miles of the journey. During this time, a severe blizzard began. Temperatures dropped to -50 degrees and winds gusted at over 50 mph. Kaassen had trouble navigating the trail and thought he would have to give up. This is where Balto's experience along the trail delivering supplies to the miners came in. Kaassen later stated that Balto followed his instincts and led the team, with the life-saving medicine, safely to Nome. The serum was frozen when it arrived on Kaasen’s sled in the early morning of February 2, 1925. Six days ahead of schedule. The unfolding crisis was picked up by the press. Newspapers worldwide printed daily updates on the efforts of the 20 sled dog teams, and their mushers, to deliver the serum. 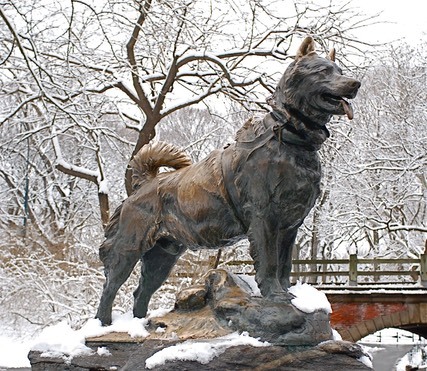 New York City took the unusual step of honoring Balto with a statue in Central Park on December 17, 1925. The plaque reads, “Dedicated to the indomitable spirit of the sled dogs that relayed anti-toxin 600 miles over treacherous waters, through arctic blizzards, from Nenana to the relief to stricken Nome in the winder of 1925. - Endurance, Fidelity, Intelligence.” The statue still stands today and is located near Tisch Children's Zoo. BUT EVEN BALTO NEEDS RESCUE! All of the accolades soon came to an end for Balto and the dog team. Kassen wanted to return to Alaska. The company who sponsored their tour sold Balto and the other sled dogs. They did a small vaudeville act for a while and eventually ended up living in terrible conditions at a novelty museum in Los Angeles, California. A Cleveland businessman named George Kimble came across the dogs and was appalled at how they were living. Working with a Cleveland newspaper, he managed to raise enough funds to buy Balto and the other sled dogs. They were quickly brought to the Cleveland Natural History Museum where they lived out their days in peace. Balto because a star attraction at the Cleveland Zoo until his death in 1933. Balto's body was mounted and put on display, where it remains today. His musher, Gunnar Kaassen, died of cancer in 1960. The impact of that epic journey is felt even now. 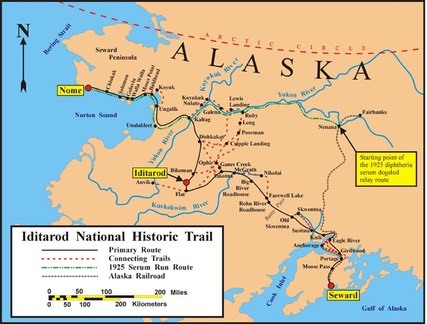 The world famous Iditarod Trail Sled Dog Race honors the importance of sled dogs in Alaska's history. It takes place along the trail that the sled dog teams traveled with the life-saving serum. An animated film entitled, “Balto” was made in 1995. It takes dramatic license with the facts, but kids and many adults will enjoy it. There have also been two sequels. There are several books about Balto as well. The books and movies are available through our smile.amazon link. If you purchase anything we get a small percentage of your purchase, but at NO extra cost to you. Click here to link to Smile.amazon and choose ARA Canine Rescue.